Get beautiful pearl colours and coverage with the Mother of Pearl - Pearl Airbrush Colour from Spectrum Flow. 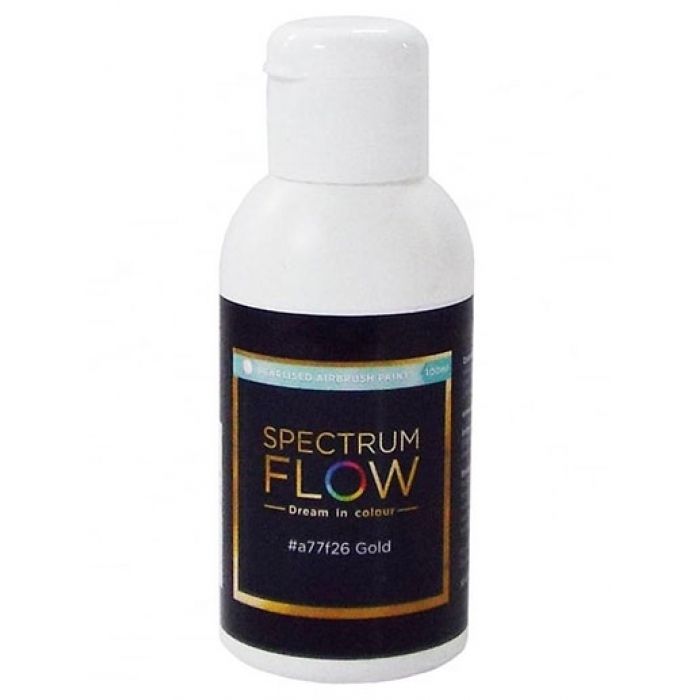 The Spectrum Flow ethanol airbrush paints differ from many other paints available on the market as they can be used on chocolate as well as fondant. This is great as you don’t have to colour your chocolate or fondant in advance and it means you can get your shading just right. You don’t just have to make do with block colours if you don’t want to.